Located in Houston, TX, K&D has been in business for over 9 years as a furniture retailer and wholesaler. K&D Home and Design Studio is known for its human-oriented design concept, simplistic style, consummate construction and environmentally-friendly materials. Simplicity, ergonomic design and clear lines are the core values of K&D. We are an internationally recognized furniture manufacturer with showrooms around the world. Our team is ready to provide you with a complete solution for your contemporary home and office. We love to inspire families to make the game room an integral part of their home. Billiard Factory offers design services to help you select and create any style from transitional to contemporary for your home. In-house design, consultation, showrooms, delivery and set-up are just a few of the benefits when you work with Billiard Factory. Billiard Factory is the largest game room and in-home entertainment company in Texas, with stores in Houston, Dallas, Austin and San Antonio to serve you. We have a huge selection of billiard and shuffleboard tables, ping pong tables, bar stools, home theatre electronics and seating, billiard accessories, lighting, artwork, darts and dart boards, air hockey and foosball tables, cue sticks and our exclusive Simonis Executive Felt. In addition, we carry the finest brands in the industry, such as Brunswick and Olhausen. 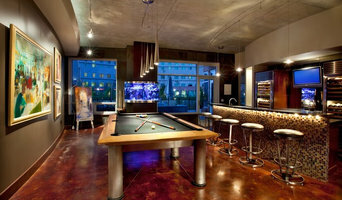 Call us at 888-647-6611 for a location nearest you, or find us on the web at billiardfactory.com . OZ Interiors by Jorge Cantu blends the anticipated with the unexpected while introducing a sense of fun into a process that at times can be overwhelming for clients. 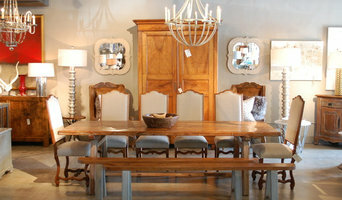 Vieux Interiors began in the spring of 2007 in a 3000 SF warehouse showroom in Houston, Texas. The original selection of furnishings included traditional antiques with contemporary finishes created in our workshop. Over time, Vieux evolved its collection by creating fabulous, one-of-a-kind, custom pieces, including dining, coffee, console and accent tables, and a substantial collection of custom upholstery items. We also developed an edited collection of unique, contemporary home furnishings and accent pieces that includes lighting, pillows, accessories, chests, original art and small furniture items. In 2010 Vieux Interiors moved to a 9,000 SF retail showroom near the Upper Kirby district of Houston, close to Houston’s River Oaks, West University and Memorial residential areas, and near the Galleria shopping complex. If you are a member of the design trade with an urgency for unique or custom home furnishings for your current projects give us a direct call today at (713) 626-9500 or click the "Contact Me" button to send us a message. We work aggressively with the trade on approvals and installs, and we look forward to working with you on your project! Similarly, if you are a retail customer looking for assistance with a room, a new dining or coffee table, or just a fabulous piece of art or pair of lamps, we have an experienced designer on staff who can advise. Come see us! Gallery Furniture's 100,000 sq. foot, state-of-the-art warehouse, built in 2010, is stacked to the rafters with in-stock furniture ready to deliver to customers the day it is purchased. ALA-TEAK is one of the Highest Quality Teak Wood Furniture Manufacturers in the world. Our Warehouse is located in New Jersey, please feel free to come visit us! We are an exciting and growing full service tropical fish and aquarium store with over 30 years of experience in retail, service, and custom aquarium building both domestically and internationally. We have pioneered the use of all types of freshwater fish with an emphasis on natural decor as a viable and successful solution for customers, whether they are a hobbyist or an individual who desires our turn-key service. Fish Gallery retail stores serve the Houston, Woodlands, and Dallas areas, focusing on today's professional and beginner aquarium enthusiasts. We offer all levels of equipment, livestock, and care. We also give back to the community by providing free educational programs for all ages, sponsoring aquarium clubs, and supporting charities. Since its founding in 2007, Manhattan Home Design has been providing the best in affordable, high-quality reproductions of classic Mid-Century Modern furniture. Koenig Collection specializes in high quality unique hand painted furniture. We carry a large inventory of goods in our Houston warehouse and can also custom build to your specifications. Koenig Collection carries several different styles and lines, from old world to contemporary and in between. Be sure to give us the opportunity to show you how effective we are at turning your ideas into reality. Star Furniture has been furnishing affordable high style furniture to Texas homes for over 100 years. Star Furniture offers quality furniture, rugs, accessories, custom draperies and more. Texas Woodworks is a family owned company in Magnolia, Texas that is owned and operated by Ray Rohret. We specialize in hand crafted, solid wood products such as countertops, custom furniture, and cutting boards. All of our products are customized to fit each customer’s specific needs. We have traveled all around the world and partnered with manufacturers to bring beautiful contemporary and mid-century modern furniture direct to consumers. 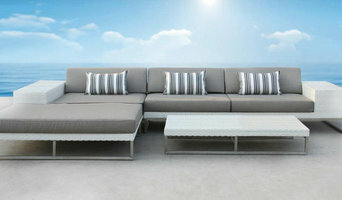 Houston's Modern & Contemporary Furniture Store | Visit Our Showroom! Danish Inspirations has served Houston for 35 years showcasing high quality and innovative designs, and most importantly, delivering exceptional customer service and experience. Come in and browse our unique styles in both furniture and accessories stocked and ready for your interior decorating projects. The quality furniture, accessories, art and floral product selections of Elizabeth Cole, LLC Design Décor & Furniture present an atmosphere of creativity and uniqueness catering to the distinct challenges interior designers encounter in the marketplace. Here at Elizabeth Cole, we have created an inviting, casual and comfortable atmosphere. We believe in taking care of our customers and we understand that today’s challenges are tomorrow’s designer solutions! Give your home the elegance it deserves with our luxury decorative mirrors. Our mirror frames are 100% hand-carved and hand-finished and can be fully customized in terms of size and finishing in order to perfectly fit your space. Our products are delivered worldwide. Free delivery in Continental US. Create your own furniture. We design and produce frameless furniture with your marketing ideas and custom graphics. Online sales of Leather Furniture and Theater seating since 1988. We ship nationwide for free. At Creative Branch we have established ourselves as a nationally known manufacturer of 'replica' or artificial plants. Our products range from floral arrangements, floor plants, succulents, trees, green walls, floral walls, reclaimed art and outstanding holiday decorations. We provide beautiful botanicals for Residential design firms, Hospitality and Commercial Design Firms, Model Home Design Firms as well as furniture and retail stores. What makes Creative Branch unique is we stay on top of the latest trends and styles in the industry, we do not require long lead time, and we ship nationwide. After 12 years of success in different markets and support from South America and Europe this will be the first homeIDENTITY store in the US. 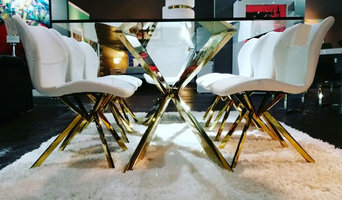 Launching in Houston, Texas our concept is based on selling the finest furniture pieces from around the world & collaborating with some of the best designers in the business. Planning on buying new furniture and accessories for your Houston, TX home? A wide range of home furnishings and home decor accessories are available in the marketplace. If this is your first home, check out our directory of furniture retailers in your area for ideas and cost comparisons. Or you may already have a favorite style and a furniture retailer that you’ve worked with in the past. Whatever your situation, it’s always a good idea to do some research before visiting a Houston, TX retailer or finding a custom furnishings manufacturer. Take your time on any buying decisions. If contemporary is your style, don’t buy something traditional because it’s on sale. Many Texas home furnishers offer interior design consultations or room planning guides to get you started. Whether you decide to work with a home decor specialist or to become your own expert, it’s important not to rush the furniture-buying process. Visit plenty of Houston, TX showrooms and stores so you can feel comfortable with your purchase. Find furniture and accessories manufacturers, showrooms and retailers on Houzz. Narrow your search in the Professionals section of the website to Houston, TX furniture and accessories, then choose the nearest metro area for showrooms and retailers. Or you may want to look through Texas photos to find designs you like and contact the furniture manufacturers and showroom galleries directly.